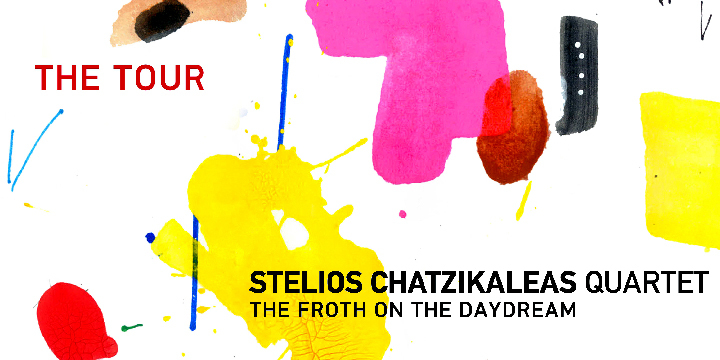 Stelios Chatzikaleas and his quartet will be presenting his new album on Saturday January 28 2017, at 21:30 at Linto stage. "What matters in life is that everything be assessed beforehand. It is in fact apparent that the masses are wrong and the individuals are always right. But let’s not hurry into forming behavioral norms due to this axiom. There is no need in setting rules in order to follow them." The homonymous text by Boris Vian, in which the real clashes with the surreal, love with death, Sartre’s philosophy waves the lives of two friends in love, one woman, flowers, life, death and humor, are the inspiration for new music themes. There is one basic reason to music production: to reevaluate the rules of the harmonic and melodic development without necessarily creating the need to follow them. A common characteristic of the text and the music in the new album is this: The Song- even without lyrics. Stelios Chatzikaleas was born and raised in Thessaloniki. He took his first classic piano and theory lessons at the age of 8 with Vagia Ziannou. In 2005 he took up trumpet lesson at the Municipal Conservatory of N. Ionia (Volos) with Konstantinos Gravos. He is a graduate of the Primary Education Schools, University of Thessaly School of Human Sciences (2007) and also a graduate of the Jazz Trumpet Department of the Conservatory of Utrecht (Utrecht's Conservatorium - Bachelor of Music with honors- 2011) in Holland, with Angelo Verploegen as his main teacher. At the same time he studies with Kenny Wheeler, Gerard Presencer, Ritchie Beirach, Hein van de Geyn, Jim Rotondi and more. 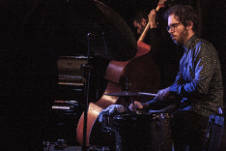 He has participated in various groups and recordings based on improvisation and appeared in music scenes in the Netherlands, Germany, Austria, the Czech Republic, Hungary, Poland, Denmark and Cyprus, while along with the guitarist and composer Andreas Papagianakopoulos (and the later contribution of the bass player Vasilis Stephanopoulos) they form the "Yiafka Playground 3". He has worked in albums but mainly in concerts with distinguished jazz musicians like Grigoris Danis, Dimitris Pantelias, Takis Peterelis, Vangelis Katsoulis, Kostas Giaxoglou, Lito Vogiatzoglou, Yiannis Papanastasiou as well as Evanthia Reboutsika, Tanya Tsanaklidou and Nena Venetsanou. He recorded his first personal album entitled "Urban Stories" with his own quintet in April 2013, which would be released by Ankh Music a year later. At the same time, he appears in well known jazz clubs and festivals in Greece (Half-Note Jazz Club, Onassis Cultural Center, the Greek Jazz Panorama) while he participates in the Euroradio Jazz Orchestra 2014 representing Greece among musicians from 14 European countries. After attending the post-graduate specialty programme in the Royal Conservatory of Brussels, Stelios is now teaching the trumpet and music at the Palestine University.